Follow your sport events on TV! Missing TV Channels or wrong info? Set our widget at your web site or your blog. 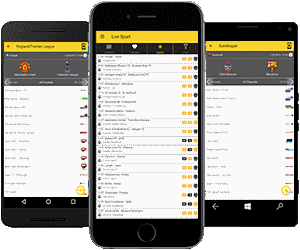 MyLiveSport.TV is the best place where you can find all TV Channel listing for sport events all over the world. We are covering all sports events including football, basketball, handball, american football, volleyball etc. We are trying our best to show you the correct information about Live TV coverage including online platforms such as IPTV, Online TV. Some of these online platforms might ask you to subscribe or login to their system in order to follow the live event. We are working hard to collect these information for you but it's always a good way to check provider official site before you make subscription. You are welcome to contact us if you find wrong information about Live TV coverage of any sport event.